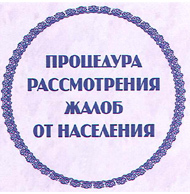 The Social Development Fund under the SIMDP is a body operating on the principles of openness and transparency, timely informing the Sakhalin Indigenous Minorities, inviting the SIM to extensive discussions of applicant projects, their merits and benefits to the tribesmen, and reporting to the SIM. Taking into consideration the experience of the mini-grants fund of SIMDP 1, representatives of the indigenous peoples recommended to combine the social development programme and the Mini-Grant Fund competition programme, thus developing the ability to handle the funds the purpose of which is addressing the issues of social protection of the SIM, conservation and development of the potential. The Social Development Fund is steered by the Social Development Council (SDF Council). assist in preservation and maintenance of health and promotion of a healthy life style, provide social support to SIM representatives.